For too long Birmingham and the Black Country have failed to celebrate what is rightfully theirs, to claim the city and the region as the birth place of “heavy metal”. In 2008 it was the 40th anniversary of when the phrase “Heavy Metal” was coined and seemed like a crucial time to start celebrating! 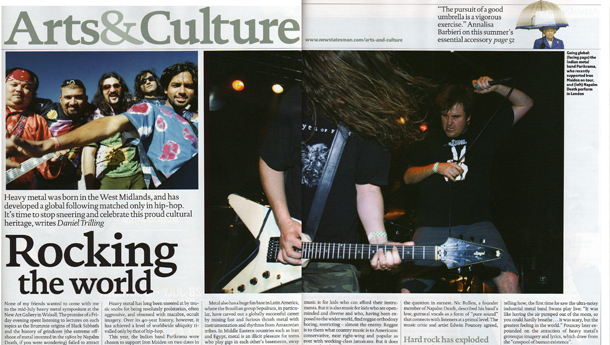 The Home Of Metal archive was developed after the ‘Metal’ symposium which was held as part of Supersonic Festival in 2007 at New Art Gallery Walsall and resulted in a fascinating article in the New Statesman entitled ‘Rocking The World’ . The symposiums’ aim was to kick start people thinking about the West Midlands as the birth place of the genre and open up the discussion. After the success of the event we carried out further research funded by the MLA that found that there was very little info or objects held by museums and libraries based in the West Midlands on the subject of ‘Heavy Metal’ and certainly not archived under the heading of ‘Metal’. Capsule also undertook a six week residency at Birmingham Museum & Art Gallery in order to see how a project as ambitious as this might take shape. 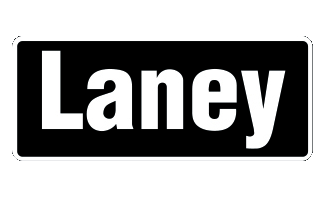 The result – The Home of Metal digital archive. Home of Metal aims to build an online archive that actively engages its audience in the creation and shape of the project. Home of Metal started with a series of open days at 3 galleries inviting people to bring along memorabilia, photographs and great stories which were then digitised by a group of dedicated volunteers to help us create a digital archive of memories, images and pictures to tell the story of this unique moment of Midlands’ musical heritage. Allowing us to get a picture of what objects and stories where out there and who might want to be involved. 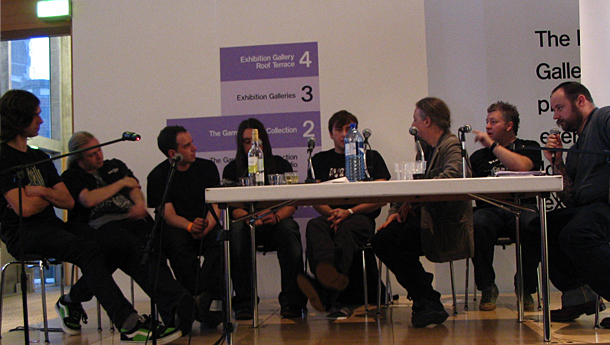 The bands that we focused were are Black Sabbath, Led Zeppelin, Judas Priest, Napalm Death and Godflesh all of whom have been innovators of the genre and in turn sub genres.The long term aim for the project is create a permanent collection for the region, to create a legacy for this genre and those that created it. This groundbreaking project was conceived and produced by Capsule in collaboration with Black Country Arts Partnership, The New Art Gallery Walsall, Birmingham Museum and Art Gallery and Wolverhampton Art Gallery.